Clear some space on your camera. You’re about to go photo wild. Boulder is naturally stunning. Sometimes, it really shows off. 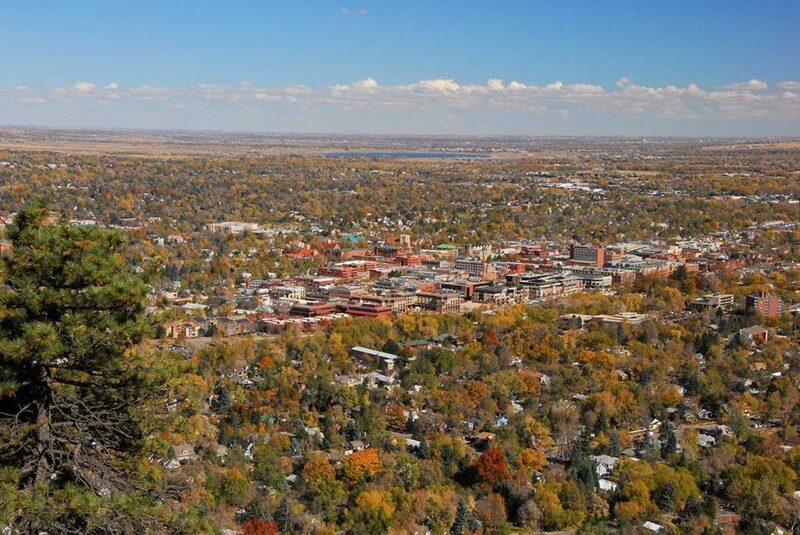 Here are the best views in Boulder County and how to get there. The top of Flagstaff Mountain just west of Boulder easily provides the best views in town. 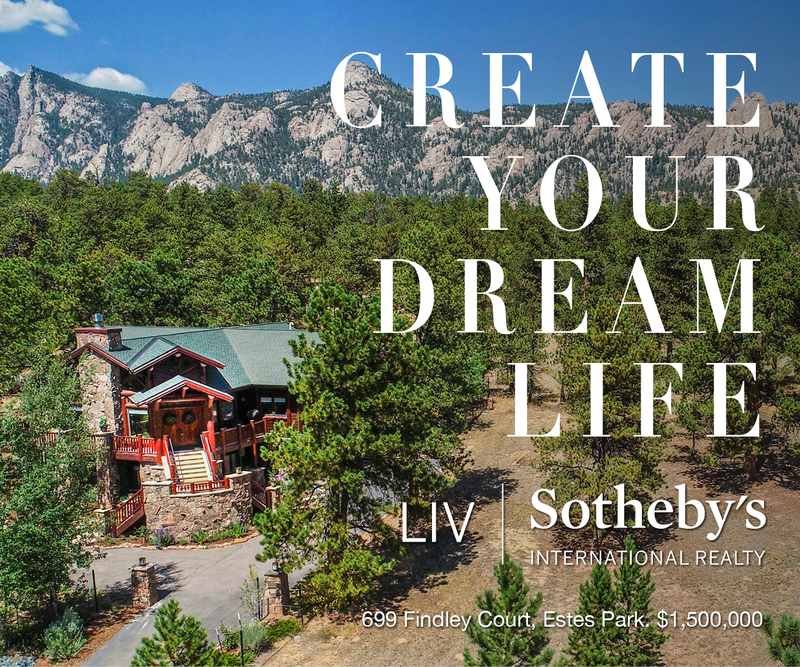 This mountaintop perch features sweeping, panoramic views of Boulder and the Front Range. There are plenty of great hiking trails and places to go bouldering or have a romantic picnic, too. Local tip: Drive slowly and keep your eyes peeled for the many pull-offs and look-outs along the way. Don’t forget to buy a parking pass at the bottom of the mountain. Boulder is notoriously gratuitous with its parking tickets. Definitely pack a picnic and a camera and prepare yourself to see birds and deer. A favorite trail is the Range View/Ute Trail Loop, ideal for travelers not used to Boulder’s high altitude. “You can get an awesome view of the Continental Divide and Indian Peaks with relatively little effort,” says Lisa Melli Gillespie, of Boulder, a volunteer with the city’s Open Space and Mountain Parks. The best time to visit is sunrise or sunset (year-round, although the trails may be snow-covered in winter), when the golden glow of the sun makes the city look enchanted. How to get there: From downtown, head west on Baseline Road. Drive past Chautauqua Park (at the top of the hill) and keep going along the windy road until you reach the top (just under 3 1/2 miles up Flagstaff Road). Head to Realization Point, then go about a half mile on Flagstaff Summit Road. See a map here. Local tip: This is a great view for people with physical limitations, as the parking structure offers an elevator to help you down. Flagstaff can be packed in the summer. Here’s a lesser-known secret. 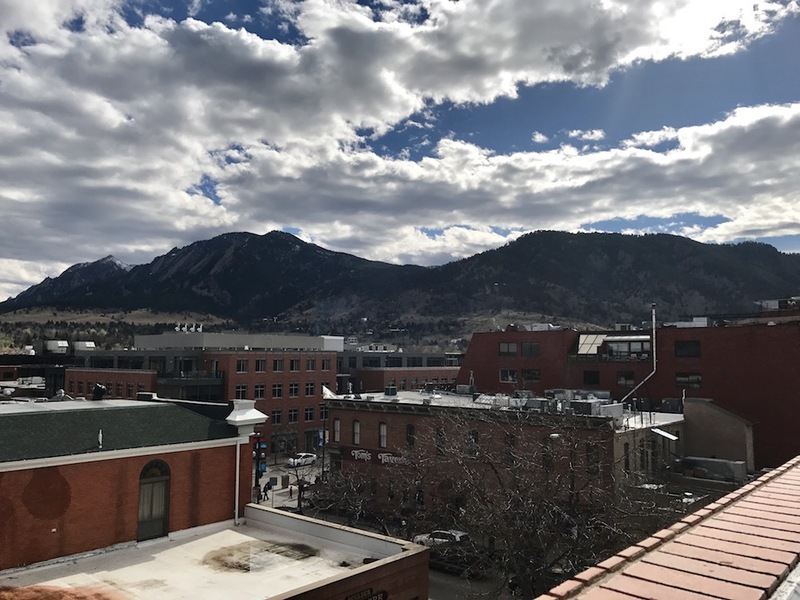 The parking garage at Spruce and 11th streets right in the heart of downtown offers dramatic views of the city and the Flatirons and is almost always empty on top. While it’s no Mother Nature’s playground, it’s super convenient, especially if you need to park downtown anyway. Just drive up to the top level and take a few moments to gaze out over the city. How to get there: Easy. This garage is right in the heart of downtown, just one block north of the Pearl Street Mall. This view is for travelers looking to get their hearts pumping. The Mount Sanitas Trail is pretty steep and considered moderate to difficult. 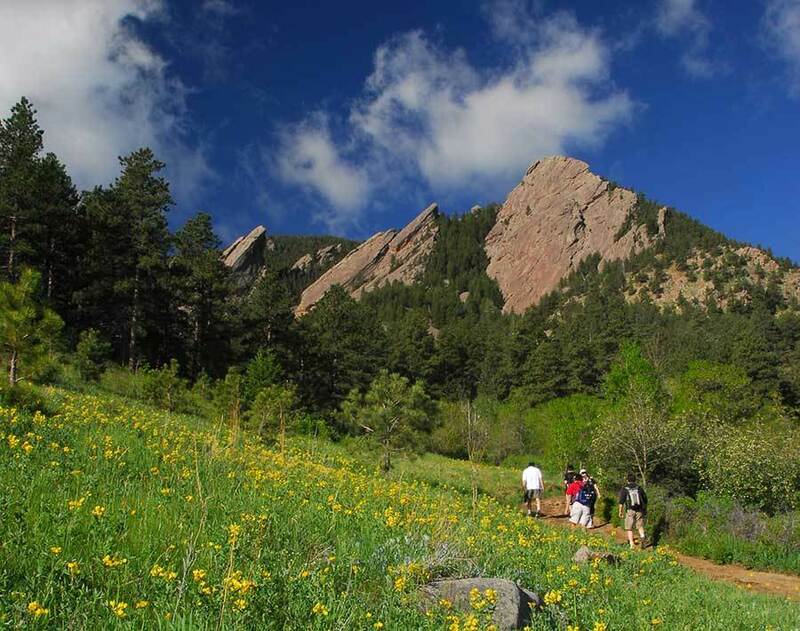 Enjoy the hike (some Boulderites even run this or bring their dogs) until you reach the pinnacle, which peeks out across Boulder from a bird’s eye view. Local tip: Head here as early as you can muster, because this trail gets packed, especially in the summer. Beware of mountain lions and bears. For reals. How to get there: The trailhead is located right to the west of downtown and the Pearl Street Mall, making it convenient for people who want a dose of nature without the lengthy drive. Go a half mile west of Fourth Street on Mapleton Avenue. Don’t have a car? There’s an RTD bus stop not far away, although you can also walk here from the Pearl Street Mall. You’ll start at the Sanitas Valley Trail, which is a wider trail that gets you breathing right away. 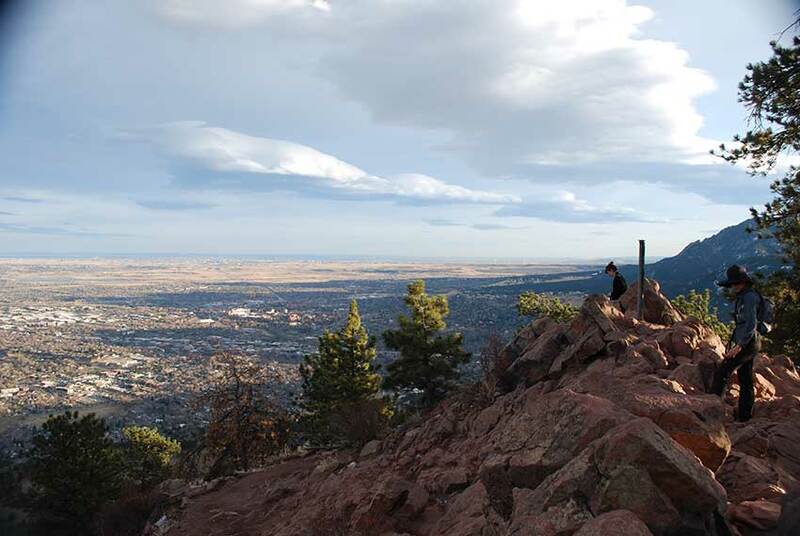 You’ll reach a fork where you can take the Dakota Ridge Trail east or the Mount Sanitas Trail west. Go west — although you can score sweet views from other angles, too. Locals call this “The Chairs,” but it’s officially the Mesa Trail to Woods Quarry. This abandoned rock quarry is now home to sandstone chunks that have been set up to build makeshift furniture. Take a seat on a rock couch or sofa and gaze out over the horizon. Local tip: People often move the rock chunks around, so the, eh, furniture arrangement is always changing. Feel free to do some remodeling if you feel inspired. The hike is easy, surrounded by nature and brings incredible views, often in peace from the other hikers. Plus, where else can you get a mountaintop view from a rock sofa? 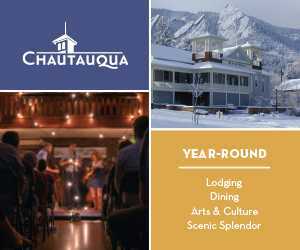 How to get there: Start at Chautauqua Park, off Baseline Road. From the Ranger Cottage, head up Bluebell Road to Mesa Trail. Hike this trail for a short distance until you hit Woods Quarry and Roose Cabin. Look for the sign on a tree and head behind that tree, until you reach the old quarry. Local tip: Hike this in the springtime, when the trail is lined with colorful wild flowers. This isn’t going to be a friendly winter hike. Don’t forget to pay for parking at the trailhead or the ranger’s cottage. Boulder is a rock-climbing paradise and you can enjoy it, even if you don’t climb, by taking a hike up the Flatirons. This 2.7-mile trail is not easy; it’s rated difficult, and getting lost is easy. It’s very rocky and steep, but it’ll guide you to the base of the First Flatiron, so you can see this famous, impressive mountain face to rockface. Win: You get the same inspiring views as the rock climbers, without having to scale the stone yourself. How to get there: Take Baseline Road west, past Chautauqua Park. Turn left into the parking lot for the Gregory Canyon Trailhead. Local tip: If you want to drive slowly and enjoy the scenery, please for the love of all that is holy, pull off on the designated spots to let cars behind you pass. Locals will love you so much more. Remember: One man’s scenic byway on vacation is another man’s daily commute. Although Boulderites with their well-worn hiking boots would want to disagree, you can also get a great view of Boulder from your car. The road snakes through the beautiful Boulder Canyon and dumps you in the funky mountain town of Nederland. If you’ve never driven in a giant canyon before, it can be simultaneously intimidating and awe-inspiring. The sharp turns may keep your knuckles white, but you won’t be able to pick up your jaw either. After Nederland, keep going. Although you will be leaving Boulder County, you won’t be leaving the views. Head to Allenspark or Estes Park, another popular tourist destination. 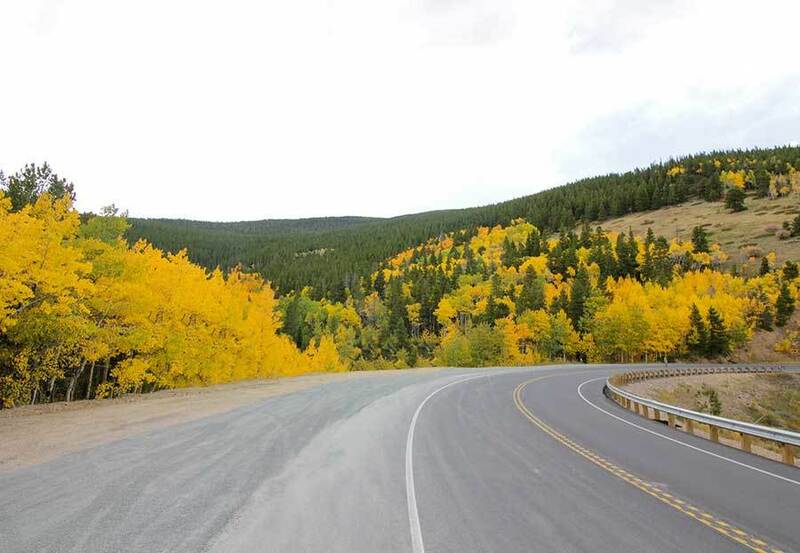 This famous, designated, official scenic byway is 55 miles long and offers views of the Continental Divide, multiple national forests, the Indian Peaks Wilderness Area and also passes through Rocky Mountain National Park. How to get there: Follow Boulder Canyon up to Nederland. The drive should take about 30 minutes. Local tip: Don’t drink (or smoke) and tube. The river can get pretty wild and sometimes it shuts down to tubers. Always check first. Stay sober, safe and smart and enjoy the views from the water. Not every great view has to be from above. Some are at eye level — or below. In the summer, hop on an inner tube and coast down the (sometimes rough but always fun) Boulder Creek. The water will bring you past a playful park (Eben G. Fine Park), rocky banks where children play and past towering green trees. End near the library and relax on the grassy banks. Keep the views going with a stroll along the creek on the stunning walking (and biking) path. How to get there: First, pick up your tubes at Whitewater Tubing. Ask them about river conditions and the best launching points for that day. You can typically park at Eben G. Fine and hike up the canyon along the river until you find a good bank from which to set sail, uh, tube. If you don’t have the budget or appetite to eat here, you can still enjoy the views. Before you enter the restaurant, there’s a small section of the rooftop patio. This space is open to anyone who wants to check out the views when the restaurant is not open. It serves lunch 11:30 a.m.-2:30 p.m. Wednesday-Friday, weekend brunch from 10 a.m.-2:30 p.m. and dinner after 4 p.m. daily. Truly, the best views are from inside the restaurant. The food and drinks are incredible, too. 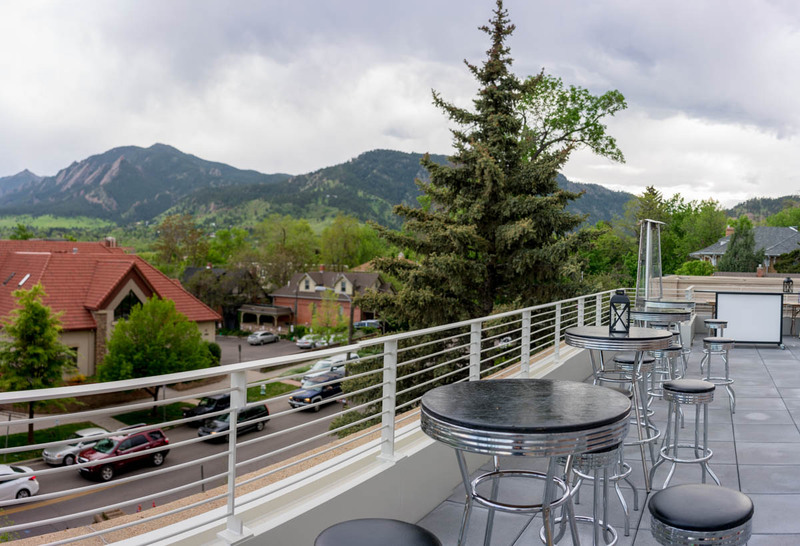 How to get there: Corrida is located right in downtown Boulder, at 1023 Walnut St., Suite 400, on the rooftop level of the PearlWest building. Corrida is on the top floor, and it’s only accessible via an elevator, which can feel a little like going to a secret hideout. When you first enter the building, you file into a sterile hallway and are typically greeted by an elevator attendant, who calls the elevator for you. Local tip: This sophisticated restaurant is lined with oversized windows, but the best place to sit is outside on the huge rooftop lounge, spanning about 3,100 square feet. The rooftop can seat more than 40 people. Enjoy views with strong margaritas and Mexican food at the Rio Grande. The Rio’s rooftop, built in 2006, is beloved for its direct Flatiron views. It’s so popular, in fact, that there’s often a wait to get a seat up there, but it’s worth it. The Rio renovated its rooftop early 2019 and reopened for the springtime. The updates include more space on the rooftop (by removing a fountain) and updated patio furniture. The roof has its own bar. The 1,200-square-foot patio is festive and upbeat; it can be loud and you may end up tightly packed in, due to limited space. The Rio is casual. You dine on wooden benches or nice outdoor furniture. Some are topped with umbrellas. There are also standing heaters to keep it warm when temps drop. How to get there: It’s hard to miss, just a block south of the Pearl Street Mall. 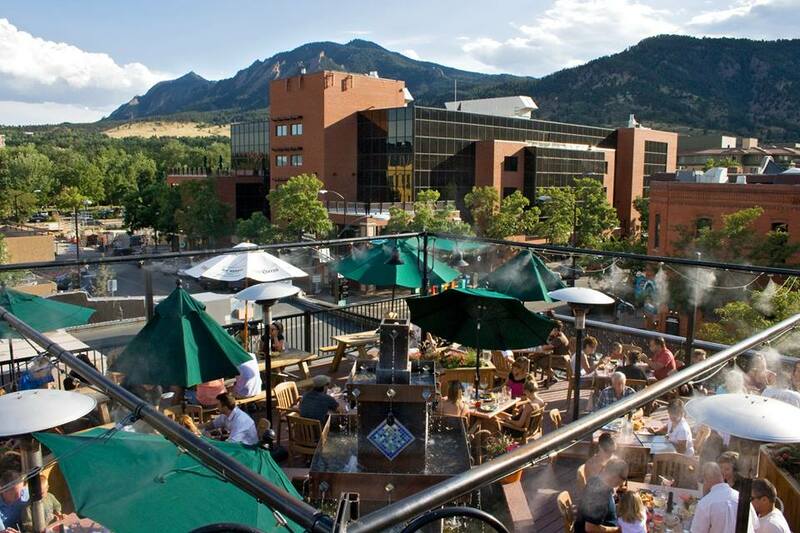 At 1101 Walnut St., the Rio is a Boulder institution that has been offering foothills views for decades. 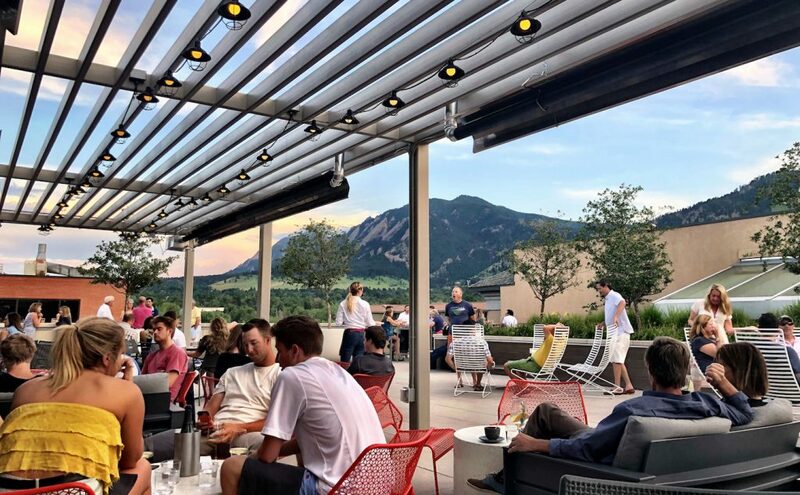 After you check out the permanent and rotating exhibitions at Boulder’s new history museum, head to the large rooftop terrace. This scenic space is accessible via an elevator, making it open to everyone (with a museum ticket), even people with limited mobility or disabilities. How to get there: 2205 Broadway, the corner of Broadway and Pine, in the former Masonic Lodge, built in 1949. It is not far from Pearl Street. 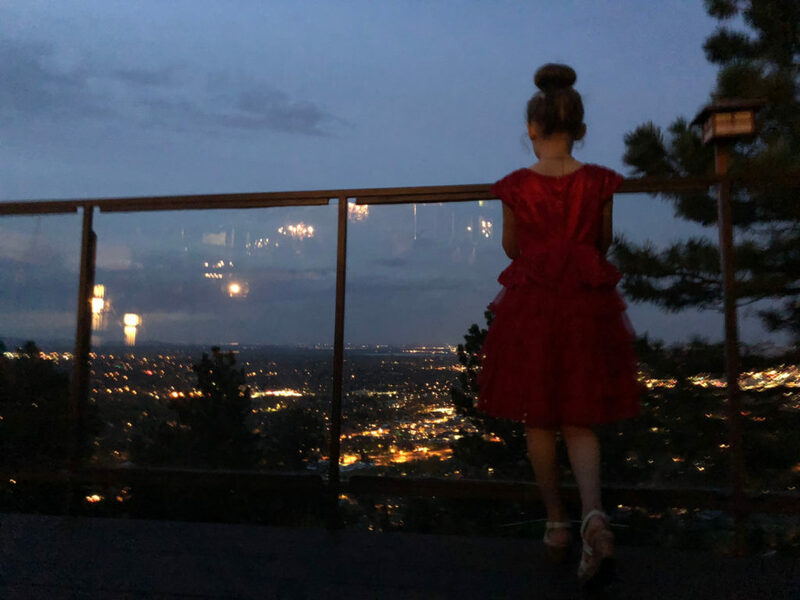 If you’re visiting Flagstaff Mountain for the views, cap off the night with a high-end dinner at one of Boulder’s best restaurants, Flagstaff House. Undoubtably, Flagstaff House boasts Boulder’s best views. No, really. Open Table crowned this restaurant with one of the top 10 views. At 6,000 feet, perched on the mountainside, this restaurant overlooks Boulder and beyond. How to get there: Head up the canyon via Baseline road to 1138 Flagstaff Road, Boulder. It’s only a couple miles up the canyon, but may take about 10 minutes. The Stadium Club at Folsom Field has pretty spectacular views. And how could this not include the view from NCAR?